Fernando Alonso Díaz continues to grow in global fame as the Spanish Formula One racing driver currently racing for the McLaren F1 team. 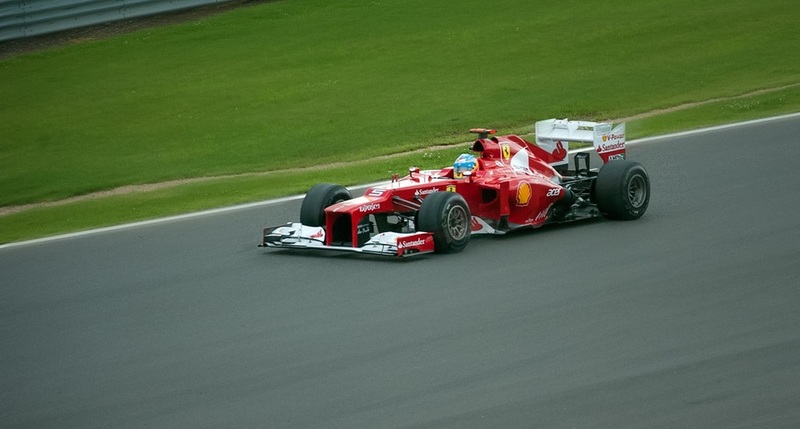 A two-time Formula One World Champion, Alonso is considered by many to be one of the greatest F1 drivers in the history of the sport; with 17 seasons under his belt, at age 37 he has many more to go. With every season, and every race, images of him continue to proliferate. Without any control over these images, they can be used without attribution and permission across the myriad of websites that comprise the Internet. In theory, it seems nearly impossible to police the unlicensed use of still and moving images of celebrities, but that may be changing with the arrival of the KODAKOne platform, an image rights management and protection solution underpinned by the blockchain. Last week, Global Blockchain Technologies Corp (“Global Blockchain”), a lead investor in the KODAKOne platform announced that WENN Digital, Kodak’s partner in building KODAKOne, has agreed in principle with Alonso to protect his professional and personal images and videos using the KODAKOne platform. Under the partnership, KODAKOne will become the exclusive image registration, protection and license-monitoring solution for certain images and videos of Alonso. This includes currently archived items, as well as images and videos taken in the future. More excitingly, it also includes images that are taken by the fans themselves, whose photographs can be distributed on the KODAKOne platform. Providing a unique value to Alonso’s fans, the agreement between Alonso and WENN Digital will provide an opportunity to his global fan base to access KODAKOne, enabling them to not only upload, register and protect their own photos and videos of their favorite F1 driver, but also be rewarded for doing so in certain instances. Further, the companies also intend to build a platform that will reward fans and media content producers for contributing to products and services built around Alonso as a celebrity figure. By comparison, traditional celebrity image rights management models focus on restricting the rights to a small group of images, with license fees being distributed to the photographers, and the celebrities themselves. What KODAKOne will enable is the open contribution of images for use in publications and media, thus expanding the pool of images that can be used. Then, license payments can be made directly to the photographers and celebrities. This will democratize the arcane world of celebrity image licensing, which was once a members-only club with many hands in the pot. Numerous uses of blockchain technology have proliferated in the year 2018, providing collaborative ability, trust, and efficiency to formerly rigid processes such as image rights management. KODAKOne brings groundbreaking functionality to the table, and with the support of celebrities such as Fernando Alonso for early use of the platform, KODAKOne is positioned to be a generation-defining breakthrough in how celebrity image rights are managed.